"After working on Eight Days a Week I became fascinated by another cultural icon, who took an elite art form and made it entertainment for the masses." –Ron Howard. 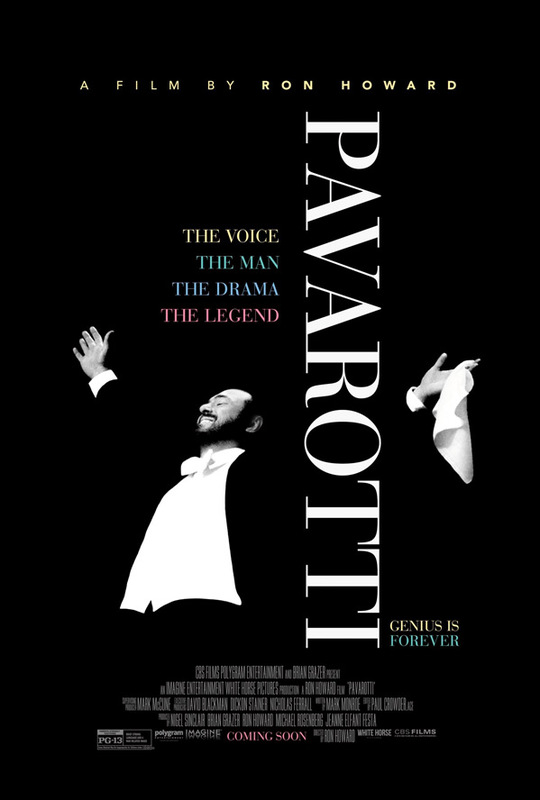 CBS Films has launched the first official trailer for the feature-length documentary Pavarotti, directed by Ron Howard - a spectacular look at the life and voice of opera legend Luciano Pavarotti. Born in 1935 in Northern Italy, Pavarotti went on to become one of the world's most famous and successful opera singers. He was one of the Three Tenors who performed their first concert during the 1990 FIFA World Cup before a global audience. This doc is made by the same crew that made Ron Howard's The Beatles: Eight Days a Week - The Touring Years, which means it will be a comprehensive film covering his entire life with tons of incredible archival footage. And it's being mastered for Dolby Atmos cinemas. As he is the one-and-only Pavarotti! What a tremendous trailer - enjoy. From the filmmaking team behind the highly-acclaimed documentary The Beatles: Eight Days A Week - The Touring Years, Pavarotti is a riveting film that lifts the curtain on the icon who brought opera to the people. Academy Award winner Ron Howard puts audiences front row center for an exploration of The Voice…The Man…The Legend. Luciano Pavarotti gave his life to the music and a voice to the world. This cinematic event features history-making performances and intimate interviews, including never-before-seen footage and cutting-edge Dolby Atmos technology. Pavarotti is directed by acclaimed American actor-turned-filmmaker Ron Howard, who directed the docs Made in America and The Beatles: Eight Days a Week before this one. An Imagine Entertainment and White Horse Pictures production, presented by Brian Grazer. CBS Films will release Howard's Pavarotti doc in select theaters starting on June 7th this summer.